In August 2008, right about the time the Indian Air Force had decided to officially kickstart procedures to get the Medium Combat Aircraft (MCA) off the realm of theory, then Chief of Air Staff Fali Major happened to bump into DRDO chief M Natarajan and then HAL chairman Ashok Baweja at an industry suppliers function in Bangalore. The Chief was mildly irritated that both Baweja and Natarajan had provided media sound-bytes and interviews suggesting that the MCA would have "fifth generation technologies". He impressed upon both gentlemen, over tea, that if the MCA went the LCA way, it would be not just unacceptable to the air force, but an act of criminal disregard for the country's security. "Give the air force a bloody first-rate fourth generation aeroplane. That is the job before you," he said. 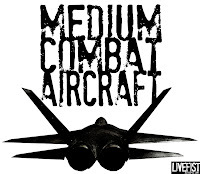 Two months later, in October 2008, the name of the MCA programme was changed (on recommendation to the Secretary, Defence Production) to "Next Generation Fighter Aircraft", though MCA continues to be used alternatively without any particular distinction. As per official documentation by the IAF, it wants the MCA to be a twin-pilot configured multirole stealth aircraft capable of "close air support, all weather interception, air defence suppression, long-range strike, electronic attack, limited command & control and reconnaisance" -- that's the profile from an official IAF wishlist to the ADA last year. That might roll right off the air force's tongue, like off a brochure, but they're deadly serious. Putting all speculation to rest when it officially began dialogue about the MCA in 2008, the IAF said it was not willing to look at a strike aircraft with other capabilities. It wants a fully multirole (preferably, swingrole) aircraft for the job. As we speak, a joint committee of several bodies involved with the NGFA is finetuning the configuration of the final jet, before work begins on building a tech demonstrator, three prototype vehicles and two production series trial jets -- the wind tunnel model unveiled at Yelahanka in February 2009 is largely what the aircraft will look like, though there are three other variants that have not been displayed yet. A twin-engine delta planfrom version, which was a direct derivative from the LCA, has since been shelved -- low observable requirements demanded a fully new airframe approach, which finally ended in the design that people got to see at Aero India 2009. While the wind-tunnel model, fabricated by a Bangalore-based engineering firm, is the product of an ADA/HAL study, there will be dramatic changes yet to the aircraft's intakes (utterly radar friendly, according to the IAF), vertical stabilisers and dorsal section, say sources. Air Chief Marshal PV Naik, in his first interaction with the ADA last year, seemed to nitpick on indigenous radar capability, more than anything else when it came to the topic of the MCA. Sources say he was deeply incensed when given a brief on the Multi-mode Radar (MMR), pioneered by the Electronics Research & Development Establishment (LRDE) for the LCA Tejas programme. In a chat with the director of the ADA, he said the next aircraft that the agency designed and built, needed to be centred around an Indian active array combat radar. In fact, the LRDE has already proposed a second radar (deriving from the MMR) for the MCA, with technological spin-offs currently being gleaned from its partnership with Israel's Elta. But Naik didn't buy that. He said it didn't matter what the DRDO was learning from who at this stage. When it came down to putting the nails in, he said he wanted a fully Indian radar on the MCA. While configuration fructifies, the following work has begun on the MCA in full earnest: DARE, Bangalore has appointed a special team to begin identifying avionics and cockpit packages for the first prototype vehicle, and will supply this in published form to the ADA by July 2010. This will include cockpit electronics, cockpit configuration, man-machine interface, mission console systems and computers/software with a focus on data fusion and modular architecture. The LRDE will, in about the same time frame, provide a separate project proposal for an all new radar, to be re-designated for the MCA, as a derivative of the MMR currently being completed with technology from Israel's ELTA. LRDE will independently look in the market for a partner for active array technology, though it communicated to ADA in June 2009 that it had sufficient R&D available to build a reliable AESA prototype with assistance from Bharat Electronics Ltd and two private firms based in Hyderabad. There is a collossal amount of work going on as far as materials is concerned for the MCA/NGFA. With the IAF unmoving in its demand for an aircraft that has stealth characteristics built into it from the drawing board forward, the DRDO has powered teams within its materials laboratories in Pune and Hyderabad to come up with new composities, low observable materials fabrication techniques, and of course, radar-absorbent control surface aggregates, airframe materials and paints. This is, of course, completely separate from design characteristics, including internal weapons, fresh leading edge innovations and a sustainable stealth maintenance footprint. The most crucial part of the programme is of course the engine. The Kaveri-Snecma turbofan is being counted upon vigorously to be ready to power prototypes of the MCA by the middle of this decade. There is no Plan-B just yet as far as engines go. However, technologies such as single crystal and nickel-based superalloys in turbofans are still some way off as far as Indian development is concerned -- the IAF wants the use of both to be a given in the engines that power the MCA. According to the ADA, the government will look to purchase upto 250 MCAs when its done and ready -- not just as a replacement to the MiG-27s and Jaguars, but to complement the MMRCA fleet that will hopefully be half-inducted by then. A proposal in 2008 suggested that the MCA be used as a technology feeder platform to the Fifth Generation Fighter Aircraft (FGFA), but after hectic representations by DRDO and HAL, with support from the IAF, it was finally decided that the MCA would continue as a fully separate aircraft programme.